An ever-popular large crossover option, the Mazda CX-9 SUV remains largely unchanged this year, with its various standard features carrying over into its 2015 model. Drivers who are looking for their next family SUV will find a lot to love in the Mazda CX-9, including a comfortable interior, a powerful and fun driving feel and tons of passenger and cargo space. Keep reading our 2015 Mazda CX-9 review for all the details on this excellent large family crossover. 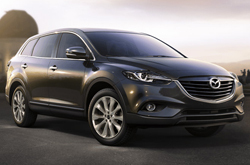 The 2015 Mazda CX-9 comes in three trim levels: Sport, Touring and Grand Touring. The base Sport trim comes with three-zone automatic climate control, 18-inch alloy wheels, cloth upholstery, a 5.8-inch touchscreen, a leather-wrapped steering wheel, Bluetooth connectivity and a six-speaker sound system. Choose the mid-level Touring trim and you'll add heated mirrors, blind-spot monitoring, a rearview camera, leather upholstery, rear parking sensors, heated front seats with power lumbar, a rear cross-traffic alert system and automatic headlights. The top-of-the-line Grand Touring trim adds xenon headlights, automatic wipers, 20-inch alloy wheels, keyless entry/ignition, an auto-dimming rearview mirror, upgraded exterior and interior materials, foglights and a power liftgate. There are several package options that are available across the three trims, including the Touring Technology package and the Recreational Accessory package. Our 2015 Mazda CX-9 review recommends choosing the exclusive Rear-Seat Entertainment package that comes with a 9-inch screen, satellite radio, a 115-volt power outlet, a DVD player and an 11-speaker Bose surround sound audio system. Space-wise, the 2015 Mazda CX-9 in Springfield can carry up to seven passengers and hold over 101 cubic feet of cargo. Under the hood, the crossover is powered by a 3.7-liter V6 engine that rates at an impressive 273 horsepower and 270 lb.-ft. of torque. The engine is paired with a six-speed automatic transmission with manual shift control. The 2015 Mazda CX-9 is now in Springfield. Stop by our showroom today and let one of our experienced and friendly salespeople take you through all the features and amenities offered on this terrific family crossover. 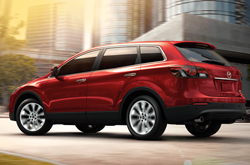 The 2015 Chevy Traverse, Dodge Durango and the Ford Edge are no match for the 2015 Mazda CX-9! 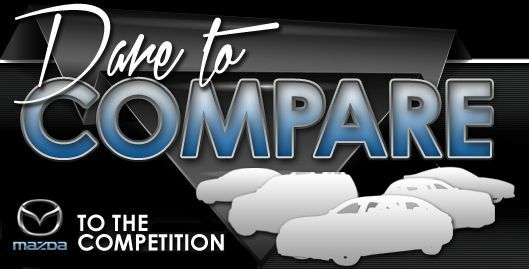 Just compare Mazda's newest model side-by-side with them and you'll see that it scores higher than the competition easily. 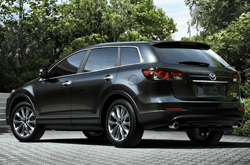 The Mazda CX-9's got several winning characteristics, including its modern incar technologies and marvelous styling. Compare its price against the aforestated list of vehicles and you'll clearly see that it's a fabulous value, which makes it a well-liked choice for many Springfield Mazda customers. Look over our Quick List underneath this text to find out more! Welcome to the Reliable Mazda review of the new Mazda CX-9. After reading our overview above, if you decide the Mazda CX-9 isn't the best vehicle for your lifestyle, please check out other 2015 Mazda reviews in our research gallery. Stop worrying about your next purchase; look to the leading Mazda CX-9 dealer in Springfield for well-researched reviews written by automotive enthusiasts. Every article comes overloaded with important data, specs and research - just what you need to make intelligent decisions about your next Mazda purchase. Please visit our Mazda review and compare gallery if you feel the Mazda CX-9 is not made for you; there you'll learn about Reliable Mazda's entire lineup.